World First – Unmanned Systems Australia and Project Wing are approved for Drone delivery in Australia !! What if we could move anything from where it is, to where it’s needed—quickly, reliably and with a much lower carbon footprint than today’s methods of transporting goods? Delivery drones are part of the solution. Project Wing is a project from X, Alphabet’s moonshot factory, that is opening up the skies to provide new services from the air. Today, we’re testing drone delivery directly to backyards near Canberra, Australia. We’ve completed thousands of flights so far, and we’re working with testers to trial our delivery app, improve the delivery experience, and learn how drone delivery can improve our testers’ everyday lives. Want to have something delivered !! We are looking for RPA qualified persons who are junior in the drone field and want to lean about the use of fully autonomous aircraft. We need people who are dynamic and ready to come with us on a journey to open up the skies for all things. Even if you don’t have the RPA skills that we need, but you have that extra factor that sets you apart from the other, we will train you and bring you into the team. So if you think you would like to help change the world and not just be part of it, please contact us, we would love to hear from you. Over the past few years, Project Wing has conducted thousands of flights to get our drone delivery technology ready for everyday use. In early 2016, we successfully completed our first drone deliveries to members of the public in an open field at Virginia Tech University. This fall we’ve been testing in a rural community on the border of the ACT and NSW and tackling an entirely different level of operational complexity: making deliveries directly to people’s yards. Our testers — alpaca farmers, math professors, equestrians, and artists (not to mention a few curious kangaroos) — have been helping us fine-tune how our drones move goods from where they’re located to where they’re needed. And today we’re announcing that two Australian merchants are joining our tests, as they’re eager to understand how drone delivery could help them serve their customers better. Guzman y Gomez, a Mexican food chain, and Chemist Warehouse, a chain of pharmacies, will receive orders from our testers who’ve purchased items using the Project Wing app on their smartphones. We’ll dispatch our drones to pick up the order from our partners’ loading sites and then transport and deliver the goods to testers at their residences. Here’s a bit of an update on what we’ve been learning over the last several weeks and what we’re going to be focusing on in the weeks ahead. Unmanned Systems Australia is operating the aircraft with Project Wing, and continues the work conducted with Project Wing since 2014. Google sister company Project Wing chooses Googong as autonomous drone delivery test site. 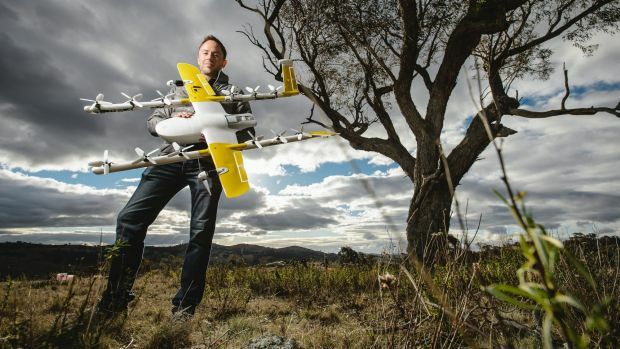 Canberra and its surrounds have been announced as the major testing site of the X company’s (formerly Google X) autonomous drone delivery system. Project Wing, a sister company of Google, arrived in Googong on Saturday to test their latest innovation. Co-leader of the project James Ryan Burgess said the company plans to be here for the foreseeable future. Testing is due to begin within the next few days at Fernleigh Park. Mr Burgess, who is based in San Francisco, said the Canberra region provided a suitable test area for several reasons. Have a look at the latest from Project Wing. CarteNav Solutions Inc. (http://www.CarteNav.com), the international leader in mission system software solutions, announced today that its AIMS-ISR® software has been chosen by Austrian firm Schiebel for its CAMCOPTER® S-100 Unmanned Air System (UAS) contract with the Royal Australian Navy. CarteNav’s AIMS-ISR® software is customisable for a wide range of missions, platform types, and sensor suites and the company has been working closely with Schiebel to produce a version of AIMS-ISR® software optimised for the CAMCOPTER® S-100. The software provides an enhanced sensor management capability with an intuitive and flexible user interface for the UAS payload operator. It also provides a more streamlined workflow allowing for coordinated planning of mission objectives with mission data distributed across all AIMS-ISR® workstations that are connected to the network. The Royal Australian Navy released an international Request for Tender in late February 2016 for a UAS capability and in December 2016 the contract was signed with delivery scheduled for mid-2017. AIMS-ISR® mission system software will be integrated into the CAMCOPTER® S-100’s Ground Control Station and will provide the ability to cross-cue sensors to various targets, as well as providing mission planning and mission review capabilities. CarteNav’s software has been used previously on a variety of manned and unmanned systems for border patrol and airborne reconnaissance. CarteNav is an ISO 9001:2015-certified company headquartered in Halifax, Nova Scotia, Canada. From its founding in August 2002, CarteNav has become a recognised leader in mission system software that enhances situational awareness and improves mission effectiveness on airborne, land-based, and maritime platforms. The software is operational on civil, government, military, and paramilitary deployments in over 35 countries across 6 continents. Following its acquisition in 2016, CarteNav is now a wholly-owned subsidiary of Provincial Aerospace Ltd. and is part of the Exchange Income Corporation (EIC) group of companies. Founded in 1951, the Schiebel Group of companies focuses on the development, testing, and production of state-of-the-art mine detection equipment and the revolutionary CAMCOPTER® S-100 UAS. Schiebel has built an international reputation for producing quality products, backed by exceptional after-sales service and support. Schiebel maintains offices and production facilities in Vienna and Wiener Neustadt (Austria), as well as offices in Abu Dhabi (UAE), Manassas VA (USA), and Phnom Penh (Cambodia). Schiebel’s CAMCOPTER® S-100 UAS is a proven capability for military and civilian applications. The Vertical Takeoff and Landing (VTOL) UAS needs no prepared area or supporting launch or recovery equipment. It operates in day and night, under adverse weather conditions, with a beyond line-of-sight capability out to 200 km, both on land and at sea. In its standard configuration, the CAMCOPTER® S-100 has a service ceiling of 18,000 feet, carries a 75 lbs/34 kg payload for up to 10 hours and is powered with AVGas or heavy fuel. Google’s Project Wing drone delivery trial has been financially backed by the United States government, which believes the unmanned aircraft systems industry could create as many as 100,000 jobs. As part of the government UAS development project, Project Wing will become operational at one of the Federal Aviation Authority’s test sites. Malta, 7 June 2016 – After the successful 2014 and 2015 operations, Schiebel’s CAMCOPTER® S-100 continues its substantial support of the Migrant Offshore Aid Station (MOAS), a global search-and-rescue charity organization. 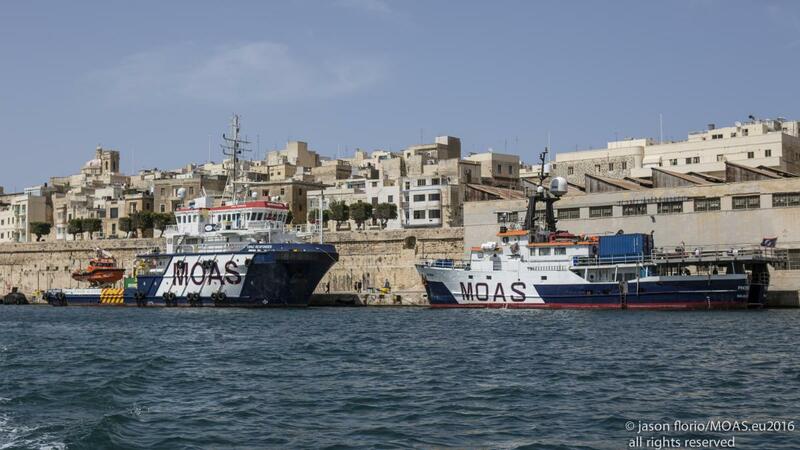 For the third time MOAS and Schiebel will join forces in order to help refugees in distress at sea. In their concerted rescue operations over the past two years more than ten thousand men, women and children could be saved from a drowning death on their way from North Africa to the shores of Europe. The impressive success of this humanitarian mission, to a large extent, is owed to the support of Schiebel’s CAMCOPTER® S-100. Besides its takeoff and landing capability on the 40-meter-long MOAS ship MY Phoenix, the S-100 provides real-time daylight and infrared video which enables the MOAS crew to precisely locate and rescue persons in emergency situations and provide them with medical aid from their ship-borne station. Especially over long distances beyond horizon, in rough sea conditions and at night, the CAMCOPTER® S-100 Unmanned Air System significantly increases chances to find and identify small ships, thus saving the lives of thousands of migrants. Proud to be part of this extraordinary engagement, Schiebel provides MOAS with a CAMCOPTER® S-100 system, as well as with an experienced team of onboard operators.